Concept Automation Pty. Ltd. are PLC programming specialists, we provide PLC programming services ranging from modifications to existing programs, to full program development and services across the full life cycle of the software. Concept Automation Pty. Ltd. possesses extensive experience with the following brands: Allen Bradley, Omron, Mitsubishi, Siemens (S5 & S7), Fuji, Koyo, Sprecher & Schuh, Telemecanique, LG and many other lesser-known brands. Concept Automation Pty. 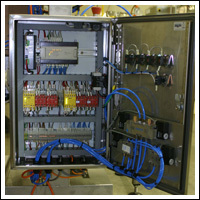 Ltd. is utilized as an official Systems Integrator for Omron and Allen Bradley PLC's. We possess extensive experience with PLC Programming and Industrial Automation Applications and solutions within all facets of industry. In addition to this we pride ourselves in our strict version control and software backup procedures ensuring that you are able to recover from any loss of data. 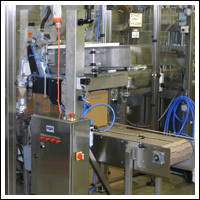 Any brand, any type of machinery or equipment, Concept Automation Pty. Ltd. is your contact for equipment breakdown and repairs. Whether the system has drawings or not, we can ensure that your line back up and producing. Put our fast response time and reliable service to the test. Concept Automation Pty. 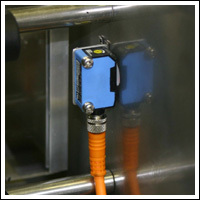 Ltd. has extensive experience in integration and programming of machine vision systems and barcode readers. During this period Director, Robert Richards, has had vast exposure to a number of varying Machine Vision and Barcode Reading brands and products in addition to the implementation and integration of these systems in numerous industry applications including: Pharmaceuticals, Food packaging, Logistical handling and Road Line marking. 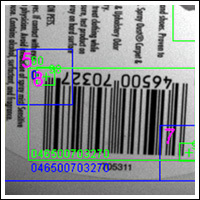 Machine Vision and Barcode Reading applications require very unique and detailed solutions. Concept Automation Pty. Ltd. can provide the experienced and tailored services that your company needs to make these applications a reality. Concept Automation Pty. 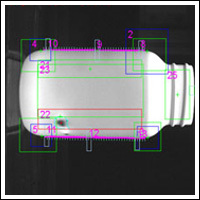 Ltd. is a specialist in the field of Barcode Reading and also has extensive experience with a vast array of Machine Vision, Pharmacode / Barcode verification systems and quality control systems within all facets of industry. With the current economic climate it is not always an option to purchase new equipment for your plant. 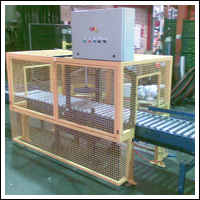 Concept Automation specialises in the upgrades of existing or old machinery. From speed improvements to complex machine operation upgrades and improvements, Concept Automation Pty. Ltd. can provide a solution. Don't let that old machine remain a mystery, have it rewired or tidied up. Don't wait for your existing run down machine to fail causing a lengthy downtime in your production schedule, refurbish it and count the savings in machine efficiency. Why purchase new equipment when you can upgrade at a much lower cost? We have the ability to offer full turn key solutions for your manufacturing requirements. Using our local and worldwide contacts we can design, test and manufacture your PCB products using Concept Automation as your local contact to network with overseas markets. We also strongly endorse products to be manufactured in Australia supporting local industry where cost effective. Contact us today if you would like to know more about the service we offer. Concept Automation Pty. 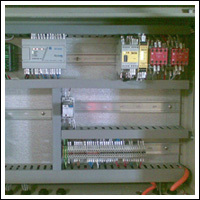 Ltd. offers expertise in Machine safety systems integration design and upgrades. With the current Safety and Work Cover guidelines becoming ever more important we can help ensure that your equipment complies with the current Australian safety guidelines. 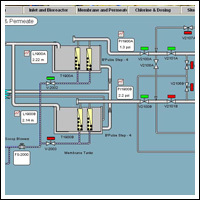 Supervisory Control & Data Acquisition implementation opens a whole new world in plant control using graphical representation of all your plants control, alarms & fault indication, data acquisition and reporting functions. Ever had trouble sourcing a damaged or spare component for a machine? It may be a foreign component or just a brand that you are not familiar with. Concept Automation Pty. Ltd. has arrangements with the leading parts manufacturers nation wide and offers the flexibility of this network to you. Based on the discount structures offered to Concept Automation Pty. Ltd. we can source these components and supply them to you at extremely competitive rates. An Added advantage of this is a reduction in your administration costs. Let us do the chasing around for you! Concept Automation Pty. Ltd. offers as a service the manufacture of electrical control cabinets to your specification or based on our design to meet your requirements. Finally Concept Automation Pty. Ltd. offers general electrical work as part of our all-round service. So if you have additional power or lighting requirement, don't hesitate to call us, no job is too small.